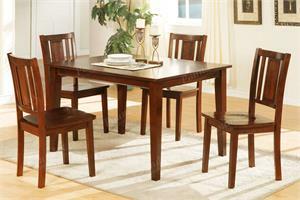 Flared legs and perfect simplicity define this mid-century modern dining set. 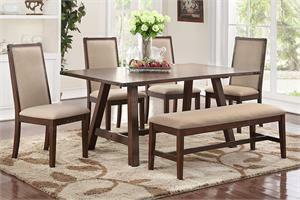 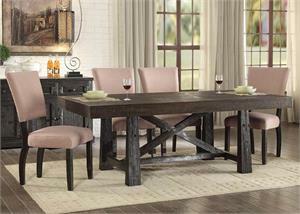 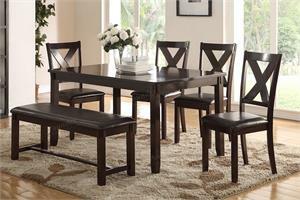 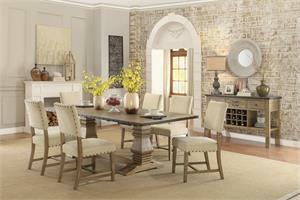 Lean back on rounded back chairs and enjoy a hearty meal with comfort. 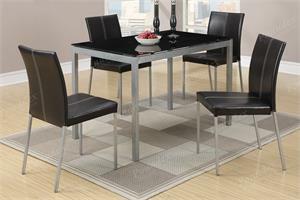 Soothing grey fabric delivers a soft touch to the chairs and angled backs ensure proper support. 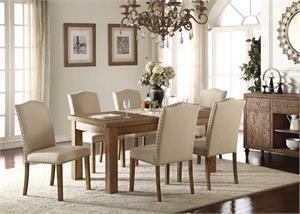 Splayed legs add character to the dining table, providing focus and light tones to warm your dining room. 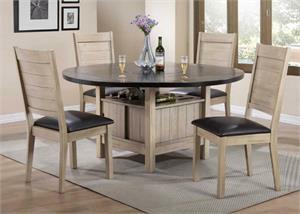 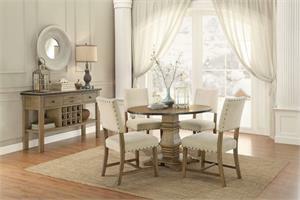 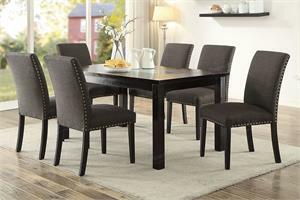 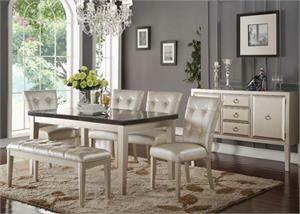 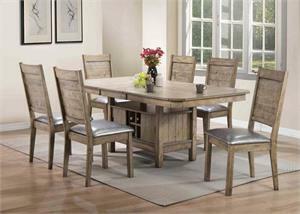 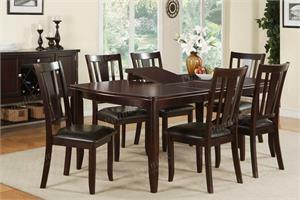 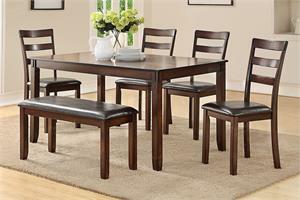 Available in round or oval dining table sets to fit your particular style.